A tintype of Mark Watson Howe. 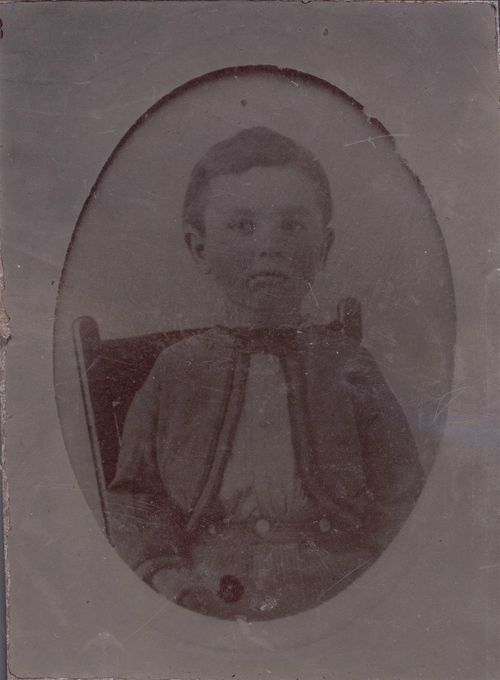 He was born December 3, 1870, in West Union, Iowa, the son of Fletcher Bowman and Clara Livona McCreery Howe. In 1873, he move with his family to a homestead near Esbon, Jewell County, Kansas. It was in this community that he met and married Alice Morrow on October 23, 1895. They had three children, Bernice, Clifford, and Richard. Howe farmed six miles southeast of Esbon, Kansas.